eBay wants to be your one-stop shop for shipping supplies. The e-commerce giant recently launched a branded shipping supplies store that initially features items such as cardboard boxes, envelopes and tape. eBay says the reason behind launching the store was simple – sellers asked for branded supplies. Those that sell goods told eBay that cost and convenience were the top priorities when deciding what and where to purchase and eBay believes its new store fulfills those attributes. It’s worth noting that eBay’s shipping supplies store will be operated by a third-party fulfillment partner that’s licensed to use the eBay trademark. 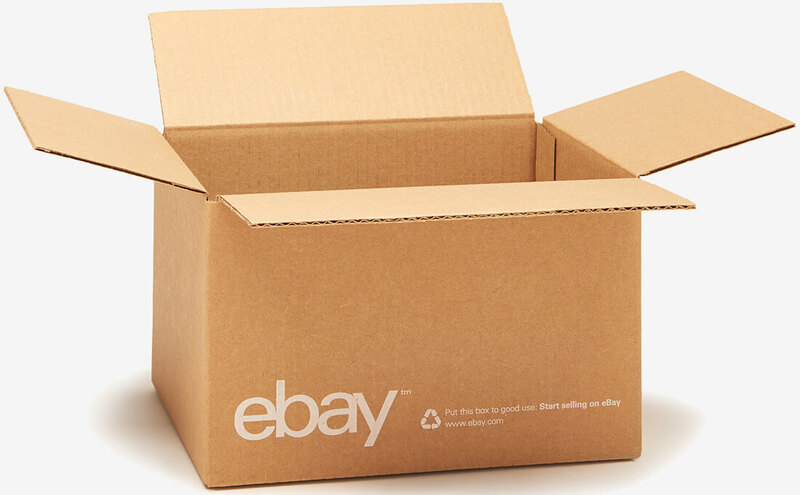 Manish Joneja, Head of North America Shipping Business for eBay, said they’re not only excited to introduce eBay branded shipping supplies to customers but to do so in a cost-effective, eco-friendly and convenient manner that satisfies the needs of its sellers. Supplies currently up for sale include boxes in multiple sizes (10, to be exact), airjacket bubble mailers, polyjacket mailers and premium-quality tape. eBay points out that all of its boxes are 100 percent recyclable. Amazon has long used its shipping boxes as advertising by plastering its logo / slogan on boxes and using branded tape. Last year, the company rolled out boxes featuring ads from third-parties (in this instance, to advertise for the Minions movie).